Reporter: That sweet dimple and that intense brilliant smile~ Smile Boy! Ah just even looking at him — Upstanding. Heartwarming. Sophisticated. Capturing the hearts of women. We will properly show you THAT smile right now! 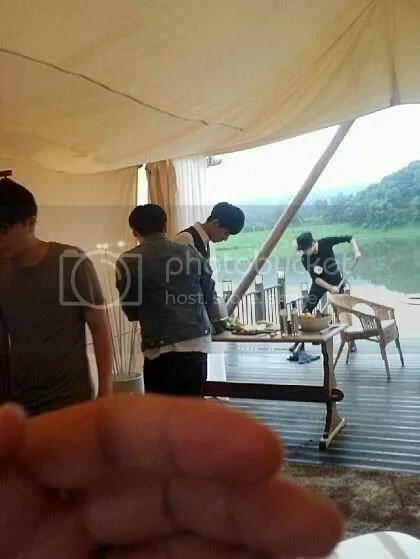 R: Near the end of summer in August, a solitary atmospheric space that even has bloomed flowers… Healing just by watching, we met a star so well-suited for this awesome filming set… Lovely Young Man Lee Seunggi. R: So what are you doing here? LSG: It’s been a while… I’m here for a CF. R: What is today’s concept? 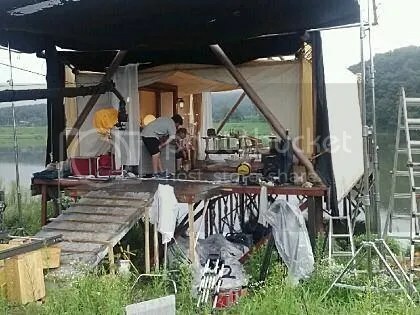 LSG: Today it’s a glamping set here… outdoors in luxurious fashion, the concept of a man preparing a meal. 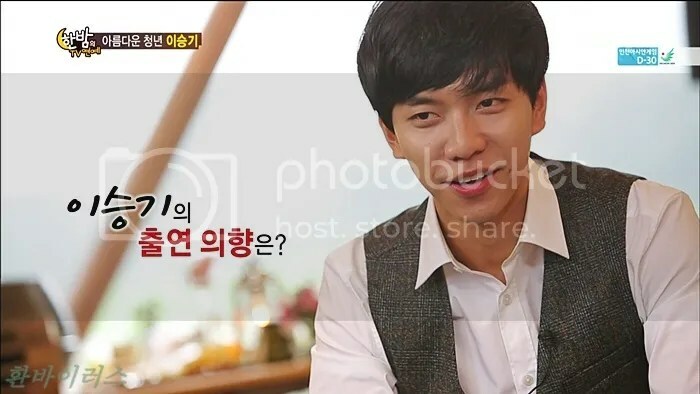 R: Playing a man cooking for the woman he loves, returning as Romantic Lee Seunggi~ Ahhh he is the one who captures the hearts of women all over the Nation. R: Wow this set is so nice and there’s a lake right over there. 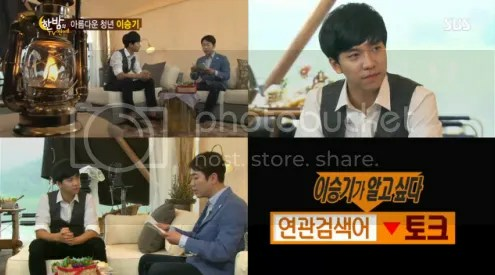 LSG: It’s been a while since I’ve been outside of the city filming like this. R: So when you film a CF, you get the CF products free?! R: It’s been about a month since You’re All Surrounded wrapped? LSG: I think it’ll be about one month now. R: You had also hurt your eye? R: By any chance, do you yourself cook? R: When you were learning to cook a lot, did you want to cook for someone? 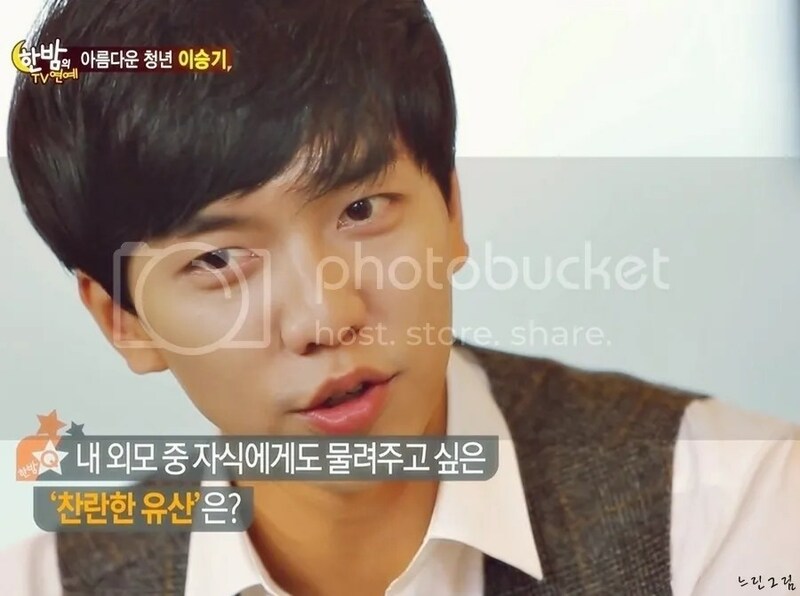 LSG: I think know the type of answer you’re trying to get but… haha. But the time [I was learning to cook] was not that time. 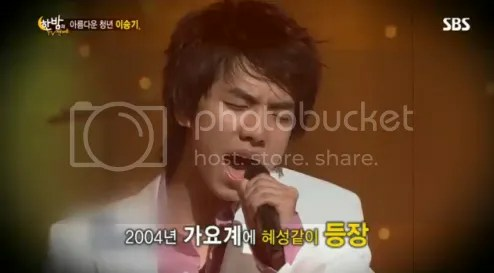 R: The young boy who sang for Noona, now already 28, a heartwarming young man. Conquering music and acting, becoming a top entertainer. R: If you were to choose your representative project? LSG: For dramas – Brilliant Legacy. My Girlfriend is Gumiho. And recently You’re All Surrounded. 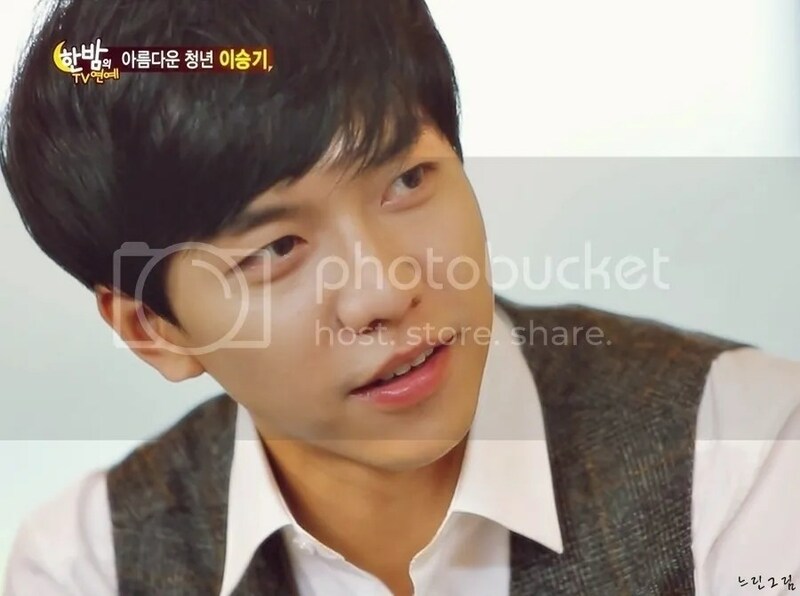 LSG: I feel like I’ve worked with SBS a lot. R: Are you close with the SBS president?! LSG: No no. I don’t even know his face! 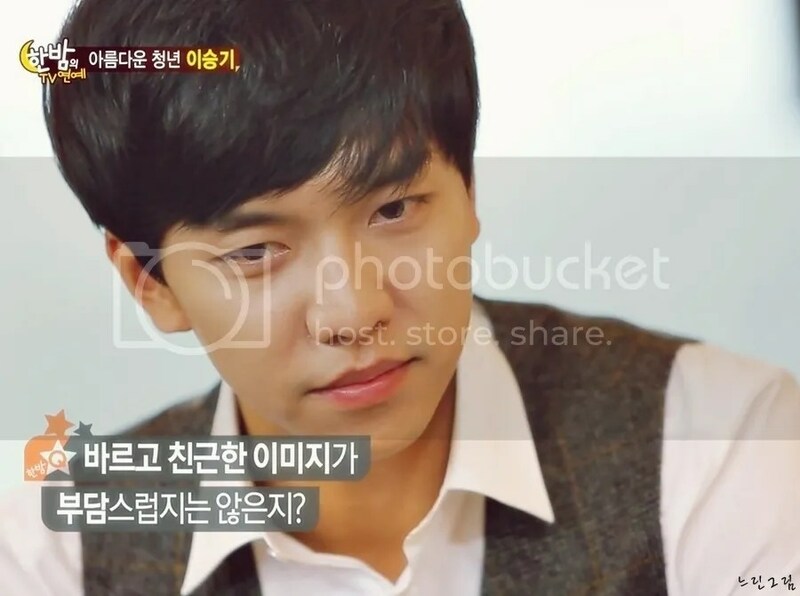 R: We want to know about Lee Seunggi. Search. Talk. R: The ‘Brilliant Legacy /Shining Inheritance’ appearance feature I also want to pass on to my child is? 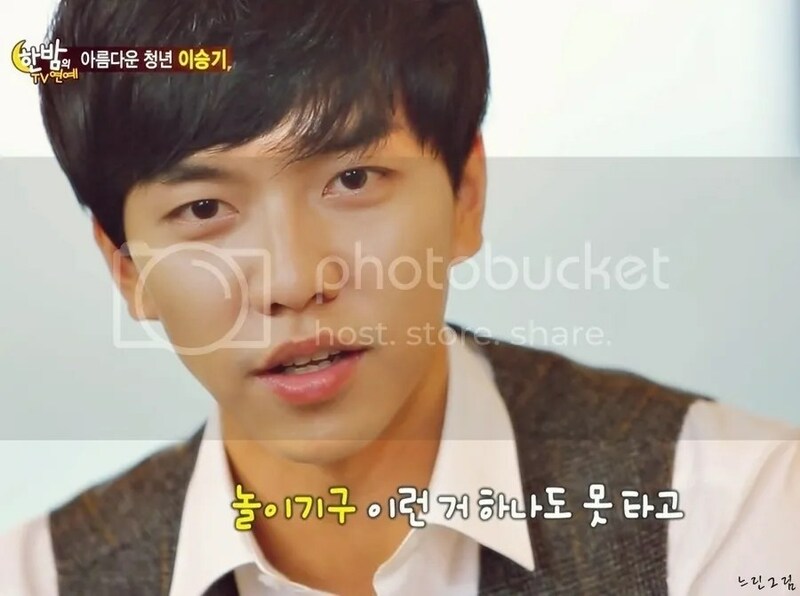 R: When does Lee Seunggi become a ‘Strong Heart’? R: The memory that Lee Seung wants to ‘Delete’? R: How is ‘Today’s Love? 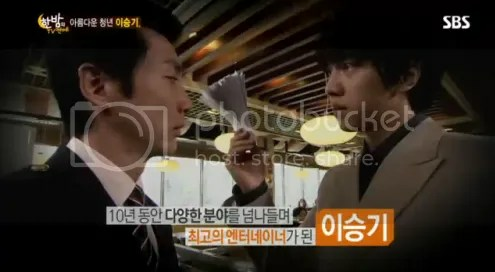 LSG: Today’s Love.. Ummm. I momentarily forgot the title of my film. R: The movie you’re filming now. 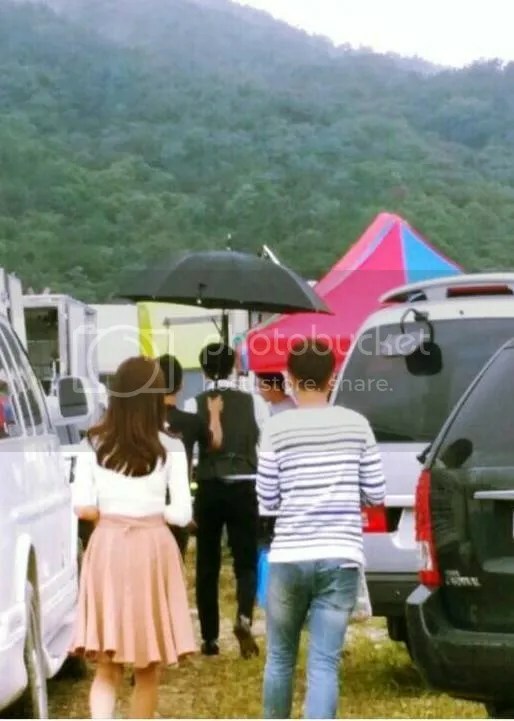 R: Soon to be making his screen debut, Lee Seunggi has been filming a movie with Moon Chaewon. R: Never having to make himself up, just himself as he is… a lovely young man! 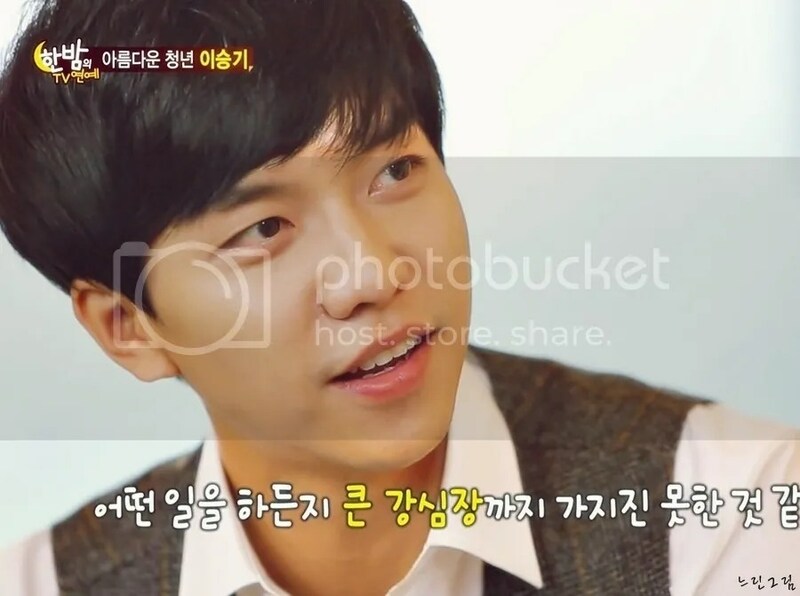 LSG: [How will I be 10 years from now?] Just like now, continuing to appear on TV… I hope to be that kind of entertainer. R: SBS One Night TV Entertainment wants that too! 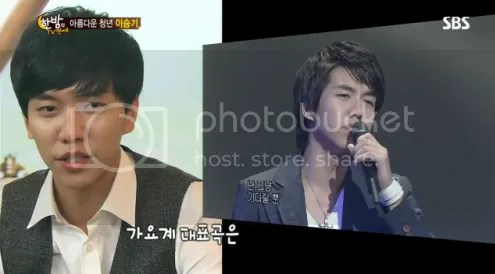 Nice prep on SBS One Night TV’s part on referencing Seunggi’s work in drama, variety, music for the Q and A~~ 1) ‘Brilliant Legacy’ you want to pass on to child. 2) When have you been a ‘Strong Heart’? 3) What do you want to ‘Delete’? omg I really can’t wait to see the new upcoming Cuckoo CF! 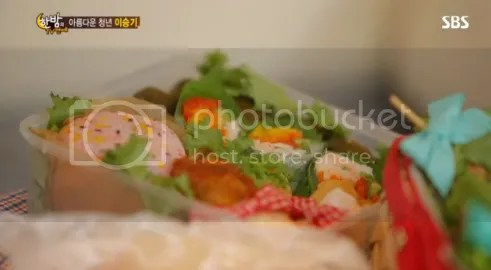 Romantic cooking Seunggi, preparing a meal~~~ The set and vibe are really lovely just like our guy!